How to enter the competition? Create your art and have fun. Submit online. Spread the word and promote your awesome design. All approved designs will be uploaded in Solo’s Facebook Page for voting. 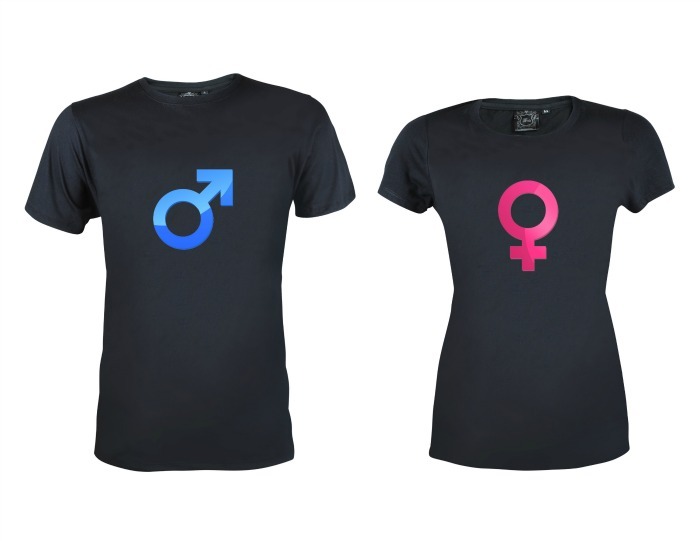 Online community votes and comments on your design to help Solo decide which design should win; voting is 20% of the criteria. How to get ‘thumbs-up’ from Solo for your submission? Make sure your designs adhere to Solo’s image and consider print-ability. Submission is from February 1 to March 15, and voting period is from February 1 to March 31, 2013. See full mechanics and download application form at www.solo.com.ph. 3 designers will emerge as Grand Winners at the end of the competition. Each winning artist will receive Php 15,000 cash and Php 10,000 worth of Solo Gift Certificates. Get ready for fame as the winning shirt designs will be featured in the next campaign photoshoot with Solo’s newest faces for 2013. Get started! 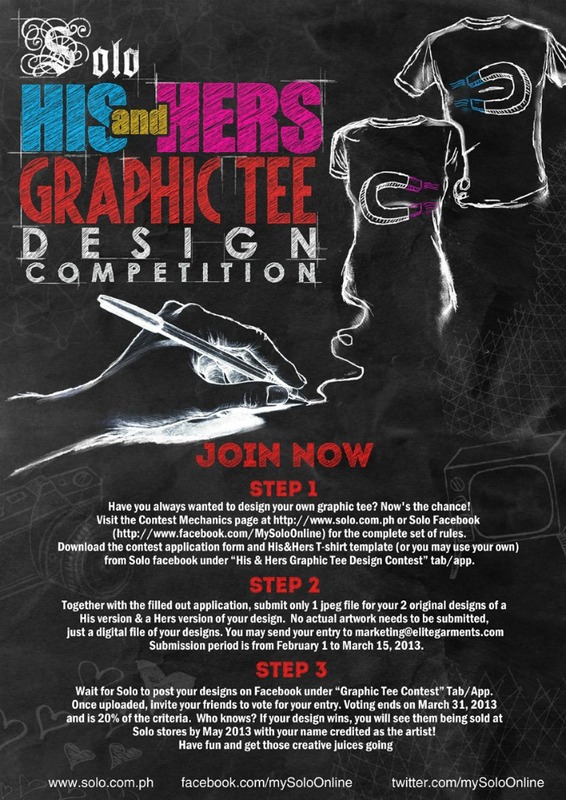 Learn more about Solo’s His & Hers Graphic Tees Design Competition in website www.solo.com.ph, Facebook Page facebook.com/mySoloOnline and Twitter @mySoloOnline.